For extra credit you need to complete every question in the packet. You may only go to Mingo NO more than 3 separate times within the same school year for extra credit. Each time you go there is a different packet SEE BELOW. Please note that you MUST print off your own copy of the packet. THERE will be NO PACKETS at Mingo. 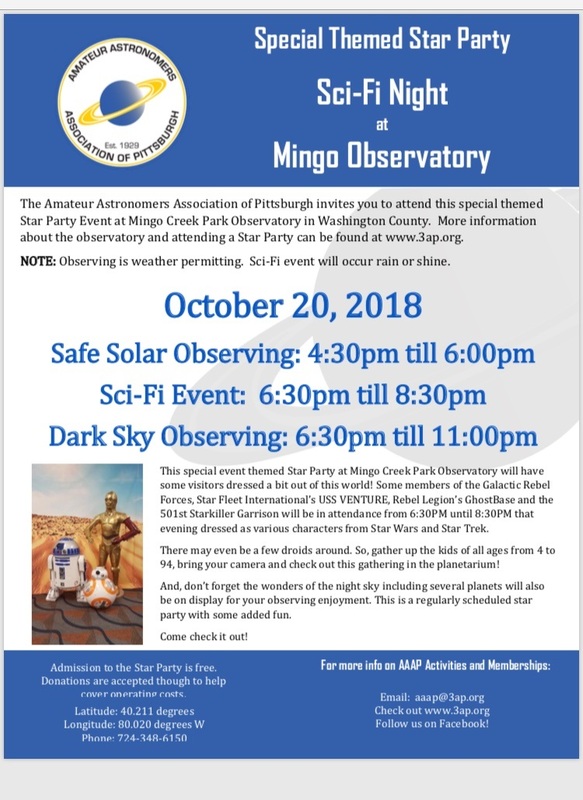 Mingo is hosting a SCI-FI night. Weather permitting come get your picture (small donation is greatly encouraged, but necessary, which includes props with your photo) with Star Trek characters, Vader, 3PO, R2, BB and some of the last jedi knights (who survived Order 66). So I encourge you come dressed up in costume as ANY SCI-FI character you want. Get your parent(s) or guardian to dress up with you and you may receive bonus credit? After all, you have an assignment to complete.